2. Candidates will be shortlisted based on the Marks Obtained in the written exam in the ratio of 1:5 for interview. 3. Stage 2: After interview, candidates will provisionally shortlisted for posting. 4. Fill the application form with all the details completely after reading the notification and instructions. 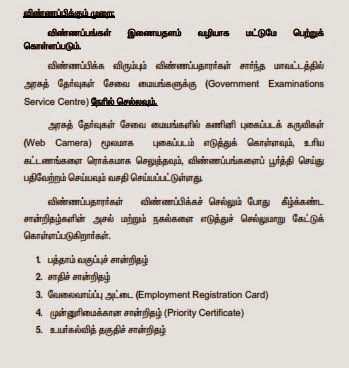 how to apply for tamilnadu lab assistant recruitment exam book in vellore district?